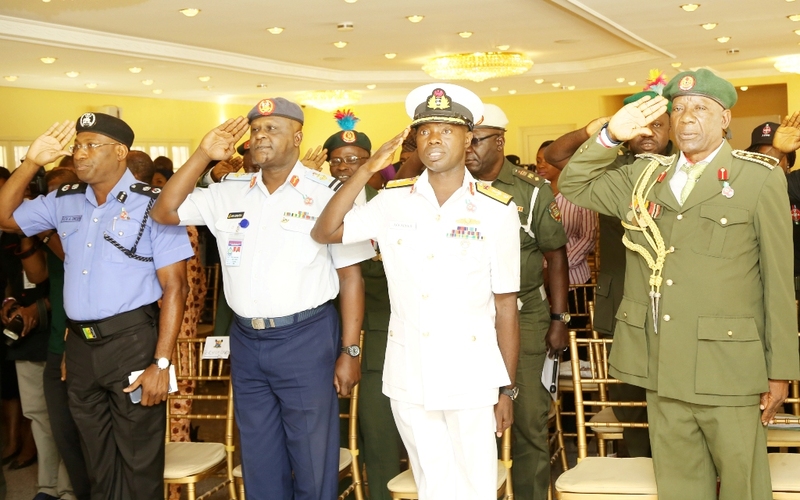 The event was attended by top security chiefs including Commander, 9 Mechanised Brigade of the Nigerian Army, Brigadier General Ahmed Mohammed Sabo; Commander, Navy Ship Beecroft, Apapa, Navy Commodore Abraham Adaji; Commander, 435 Base Service Group, Ikeja, Air Commodore Danladi Santa Bausa; Lagos State Commissioner of Police, Mr. Fatai Owoseni, among others, while members of the State Executive Council were led by the Deputy Governor, Dr. Mrs Idiat Oluranti Adebule. 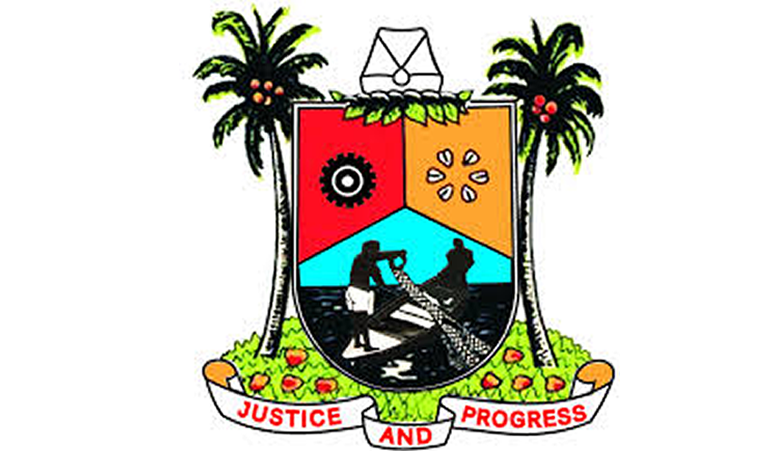 Members of the Mende community in Lagos have expressed their readiness to work together with the All Progressives Congress (APC) party and its governorship candidate, Akinwunmi Ambode, to take the state to the next level. 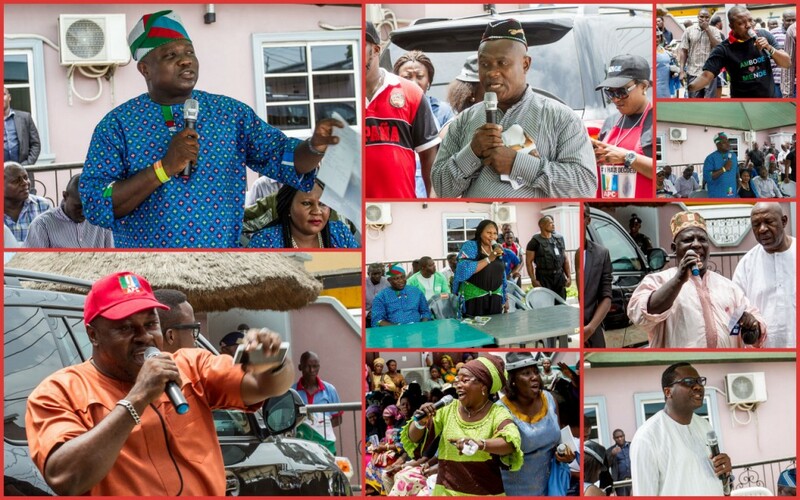 The community’s representatives of the artisans, party members, youths, market men and women, the physically-challenged, and representatives of the each resident ethnic nationalities in the community, all took turns to appraise Ambode’s capabilities to lead Lagos into another level of greatness, hence, their support for his candidacy. “We give you double assurance that come Saturday, the whole of Mende will come out to vote en masse, and the APC will come out tops”, said Hon. Adewunmi Oyebolu, one of the community leaders. In his response, Ambode said Lagos is set to truly get to a next level where development and growth will be sped up, with the support of the newly elected APC government at the centre. “Let this coming Saturday bring good tidings to Lagos. It will be for the benefit of all, when we have the capacity and support to do much more in our state. 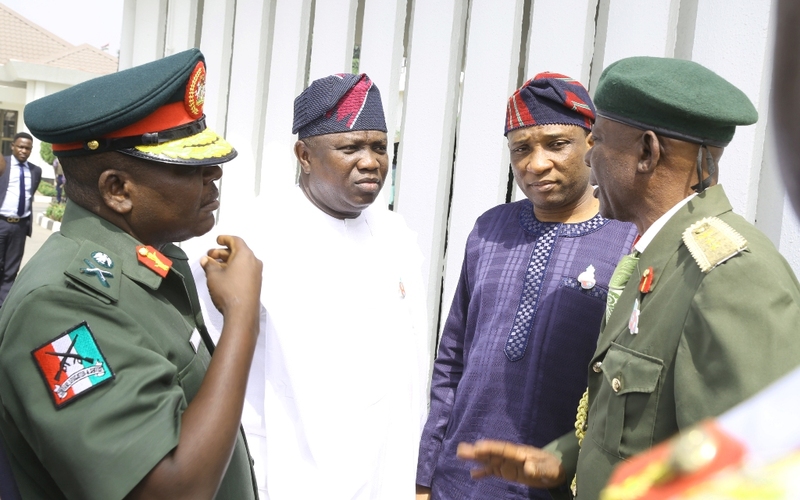 The possibilities of an APC government at both levels of government is so promising, and I’m sure we all can t wait to explore it”, Ambode urged. 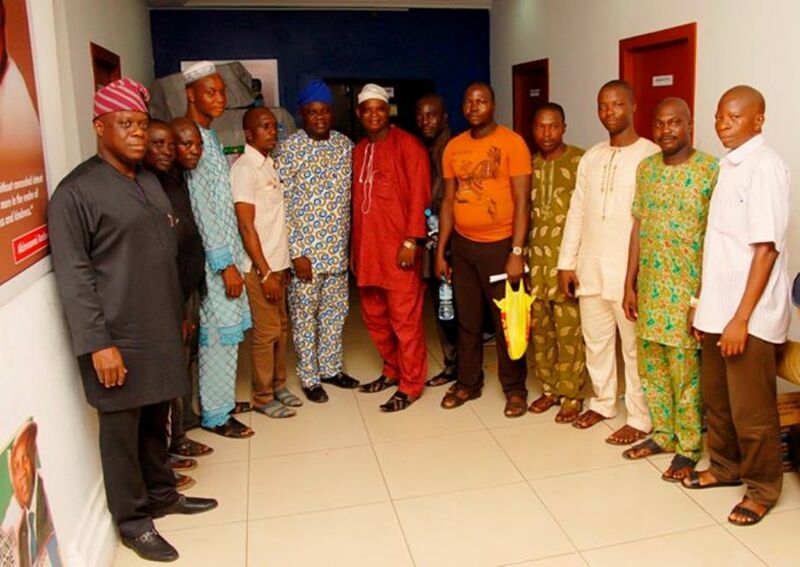 Members of the Lagos State Vulcanizers Association (LSVA) today paid a solidarity visit to the All Progressives Congress (APC) governorship candidate in Lagos, Akinwunmi Ambode, at his Gbagada Campaign office. 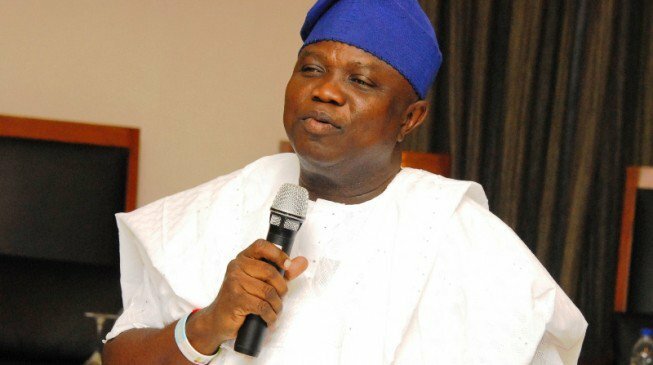 The Association, led by their Chairman, Prince Abdul-Rasheed Adeyemi, stated that the meeting was intended to state their full support for the gubernatorial candidacy of Mr. Ambode ahead of the April 11 elections. “Our members will vote for Mr. Ambode to become the next Executive Governor of Lagos state. We are ready to support continuity of good governance in Lagos”, stated Prince Abdul-Rasheed Adeyemi. They however solicited for an appropriate recognition of their association by the State government. 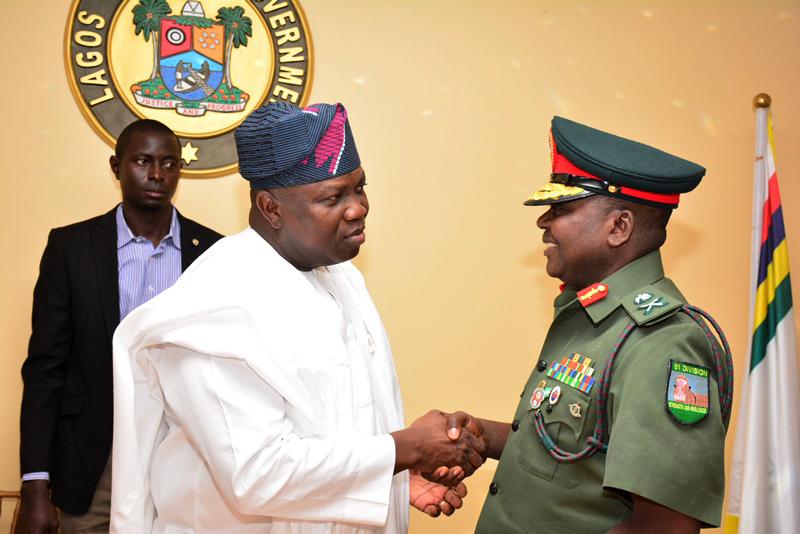 Akinwunmi Ambode, while thanking them for the show of support, assured them he would address the issue when voted into power. He said “The kind of recognition we will give you and other artisans in Lagos state involves empowerment and engagement that will boost your productivity”. 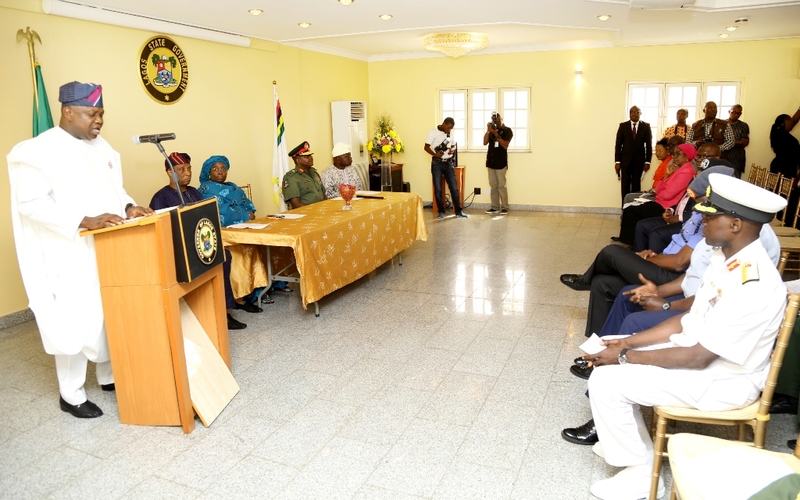 Ambode further stated that “We will create befitting and accessible work spaces for your members. We already have something known as a U-BOX, a mobile utility-box designed specifically for the work of a vulcanizer. This and other empowerment programmes have been created to make you all productive at work and prosperous”. The visit by the vulcanizers adds to the increasing number of endorsements received by Akinwunmi Ambode by different segments of the society in the run up to the April 11, 2015 elections. The Eze Ndigbos of the 20 Local Government Areas (LGAs) and 37 Local Community Development Areas (LCDAs) paid a solidarity visit to the Lagos State Governor, Governor Babatunde Fashola (SAN) to pledge their support for the All Progressives Congress (APC) in the forthcoming elections, both at the Federal and state levels. 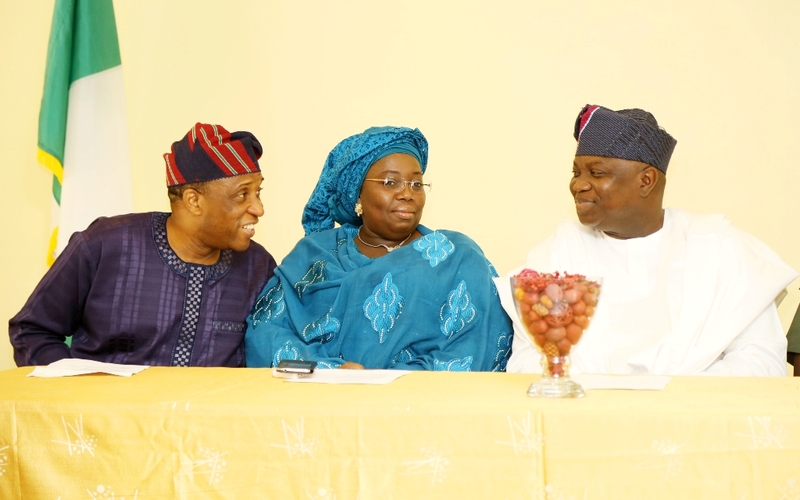 The APC governorship candidate, Mr. Akinwunmi Ambode was also present during the visit. 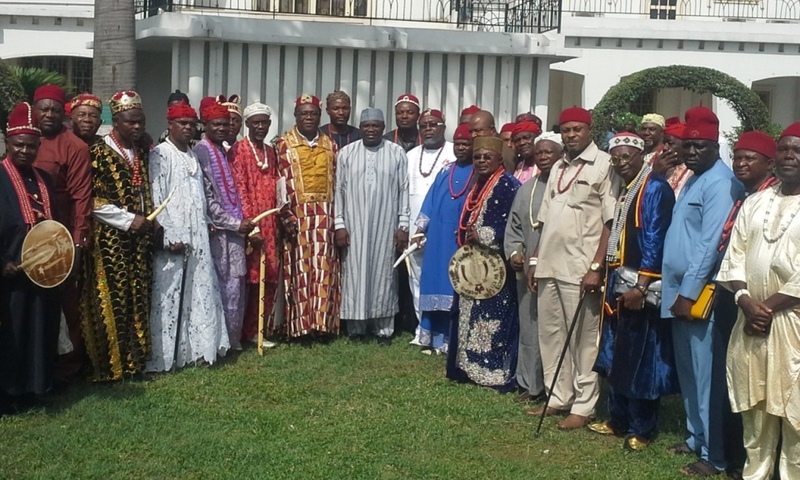 The Igbo leaders, led by Eze Ndigbo of Ikeja, Eze Uche I.C Dimgba, also used the medium to distance themselves from rumours of their support for the opposition. Eze of Amuwo-Odofin, Dr. Godiah Ojiaku, Eze of Ojo, Dr. Pat Eneh spoke during the visit to reiterate their stand with the APC. The APC, through Governor Fashola and Mr. Ambode, said the Igbos are and will remain an important part of the progress Lagos. The National Executives of the Awori Welfare Association of Nigeria (AWAN) today paid a solidarity visit to the All Progressives Congress (APC) governorship candidate in Lagos, Mr. Akinwunmi Ambode. The group assured of their support for his candidacy and promised that the entire Awori population of Lagos will vote for him as the next Executive Governor of the state. 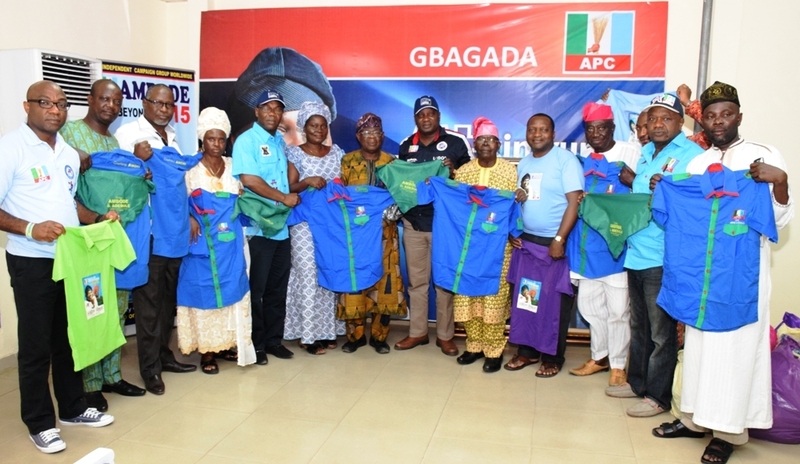 They donated some branded items to approve of their support for the ‘Ambode for Lagos’ project.